Ah, my eyes...it's just so beautiful. 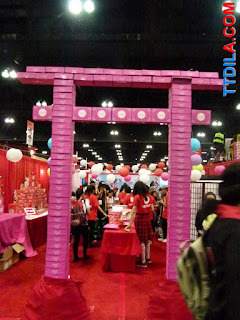 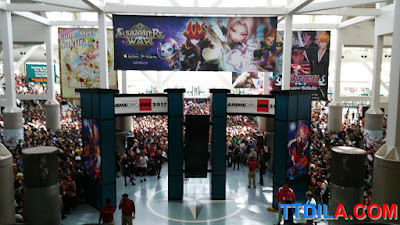 Looking back, a few days ago, we were impressed, not by how big AX has gotten, no, by the amount of fans. This... this possibly is the largest attendance the convention hall brings in per year. The sheer number of fans wanting to celebrate anime and cosplay is amazing. 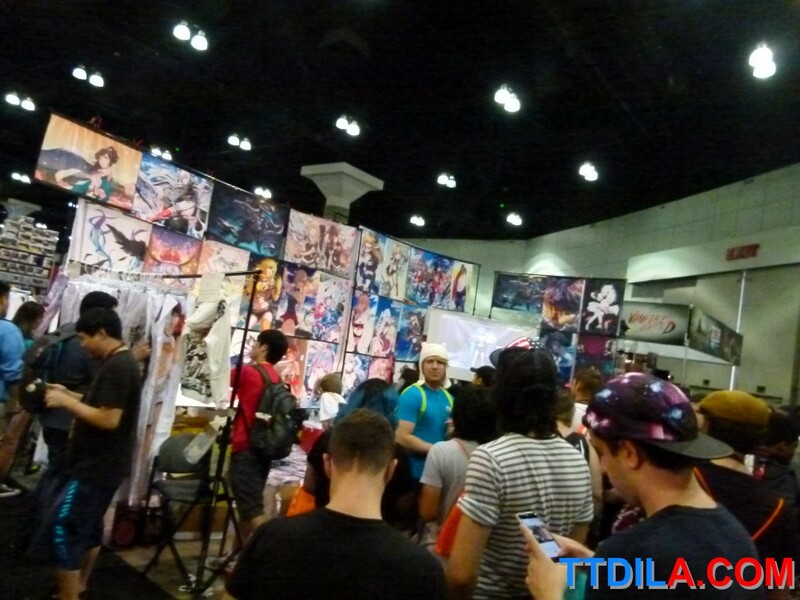 The whispers of manga artists from Japan making special appearances. 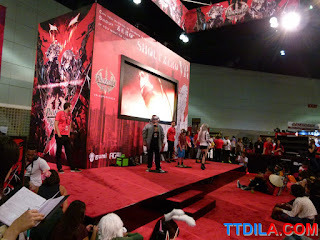 All of this because fans want a place to come and enjoy anime and manga. 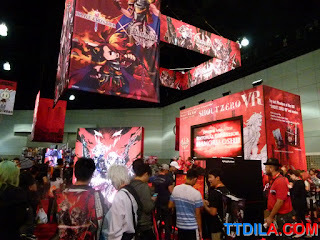 There were some fun booths this year. 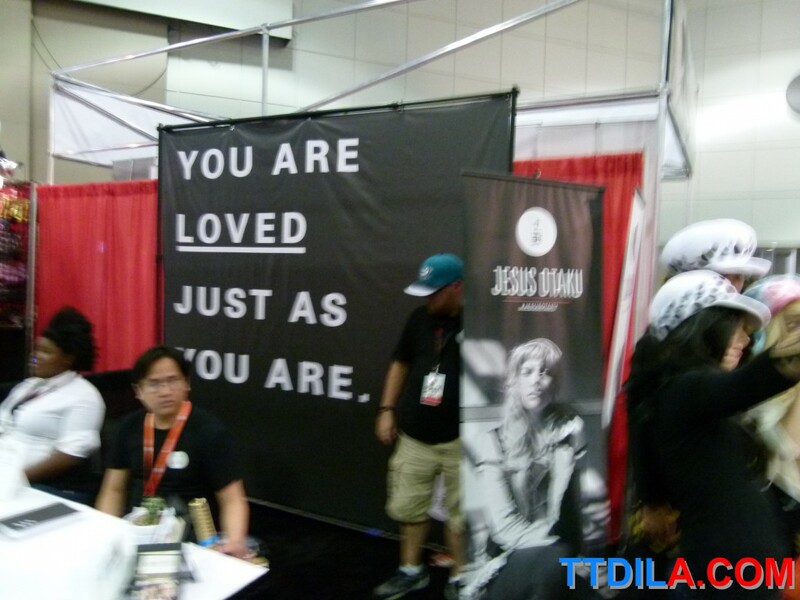 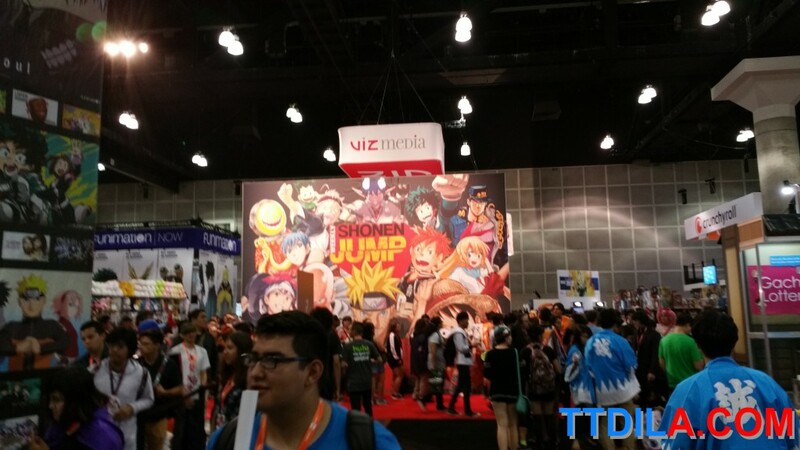 We were amazed by how little Funimation tried at their booth, usually a standard of fun and swag. 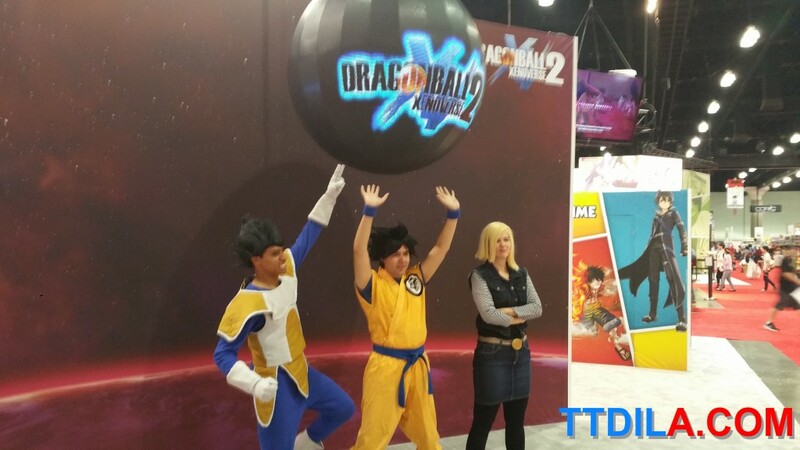 Instead, Dragonball Xenoverse 2's free photo booth at the Bandai Namco booth stood out. 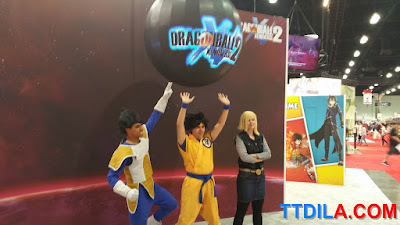 Fans could stand with DBZ cosplayers and create a "Spirit Bomb." 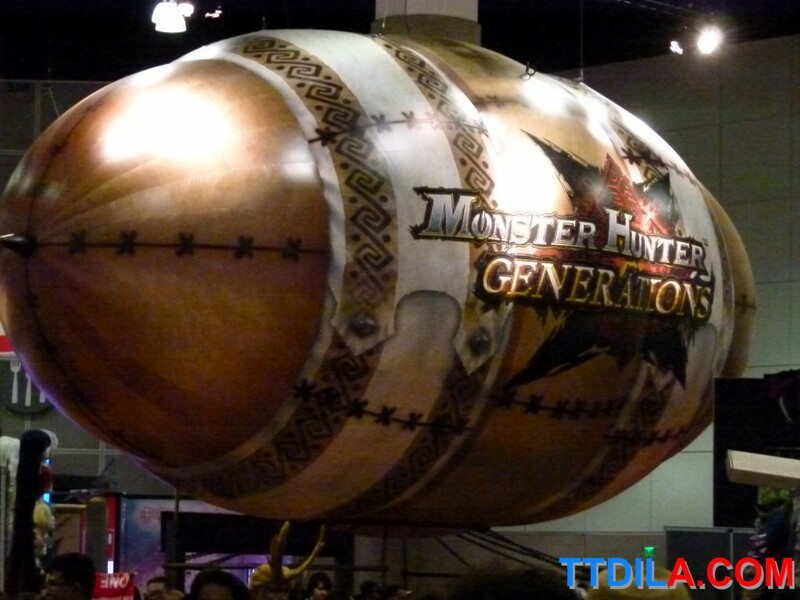 Capcom showed off the new Monster Hunter and Ace Attorney, but gave out no swag? Viz did a nice job with a quest for Sailor Moon where you had to find sailor scouts and have them punch your card you were provided with at the Viz booth. Those who completed the quest got a Sailor Moon metal water bottle. 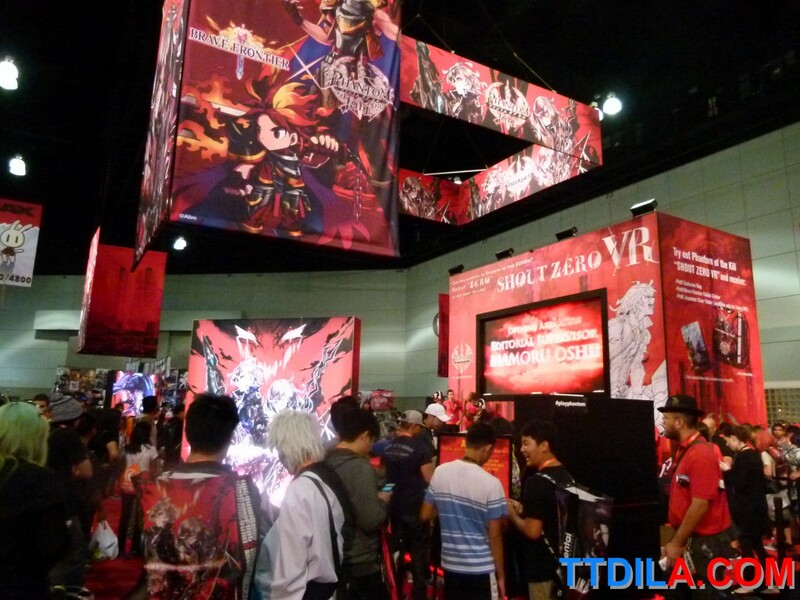 NISA America had a harder quest with stamps again this year that had you wondering the halls of AX to get a spin of their prize wheel. 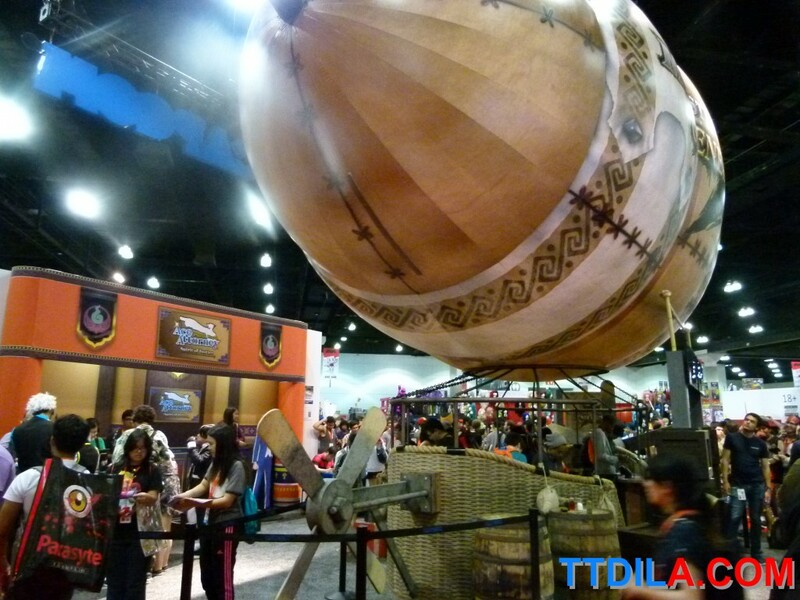 More of these quests should be done as they're like little mini adventures of earning a special item. It's hard to report, but there were so few booths that shouldn't have been there, there's usually quite a lot, that there won't be a "WTF are they doing here post." There were still some odd ones, like the Jesus Otaku one. 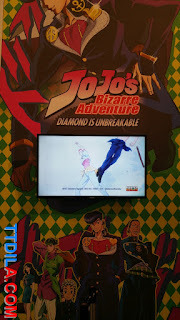 Which tried to connect Christianity to manga fans...yeesh. 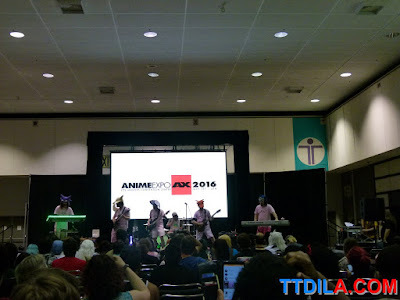 At least it was related to anime. 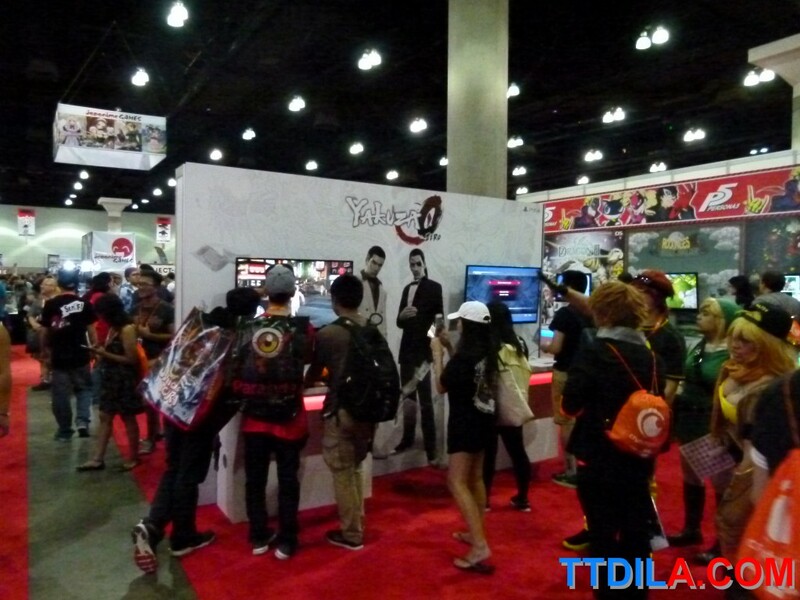 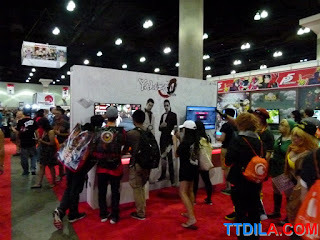 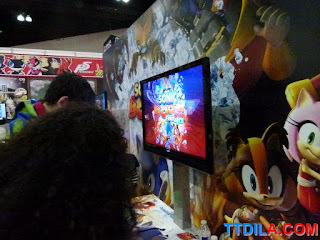 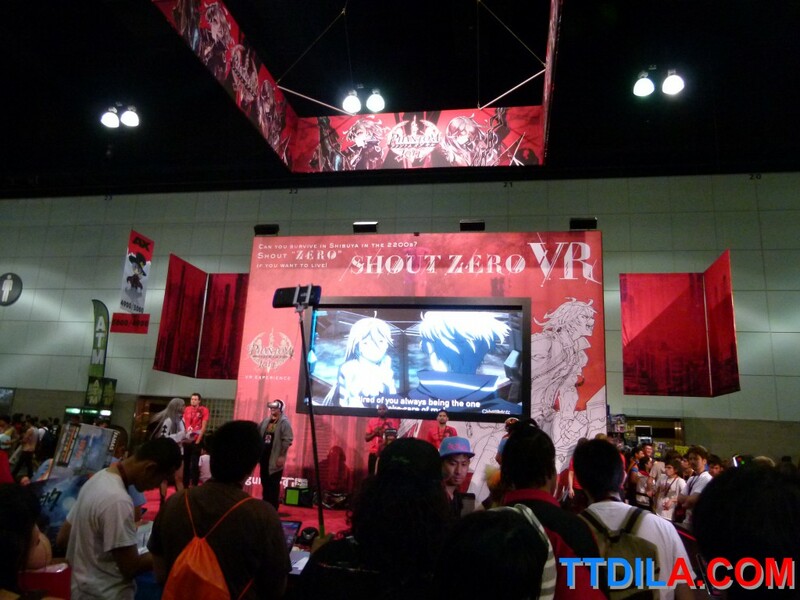 We laughed at how small the Sega booth within Atlus was. Four screens? 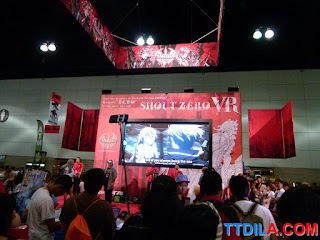 No swag. 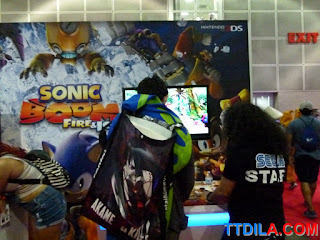 It's Sonic's Anniversary, SEGA, get it together. 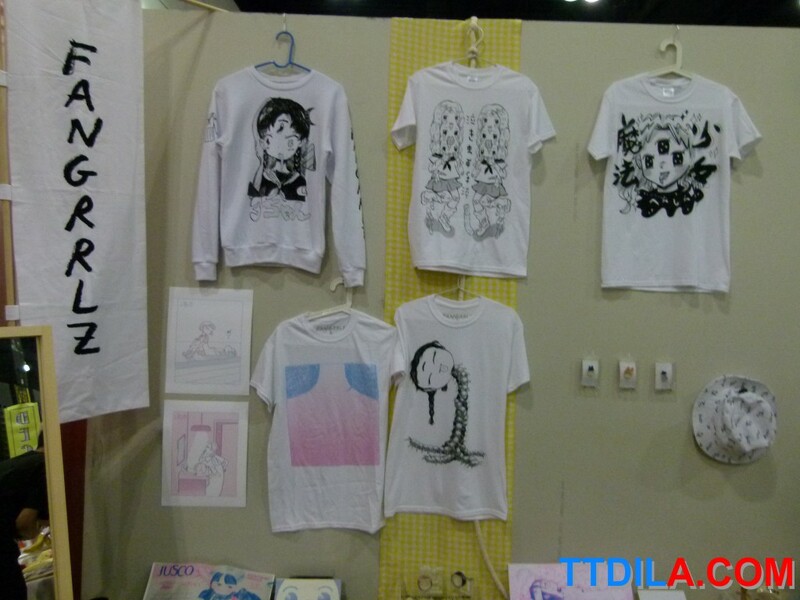 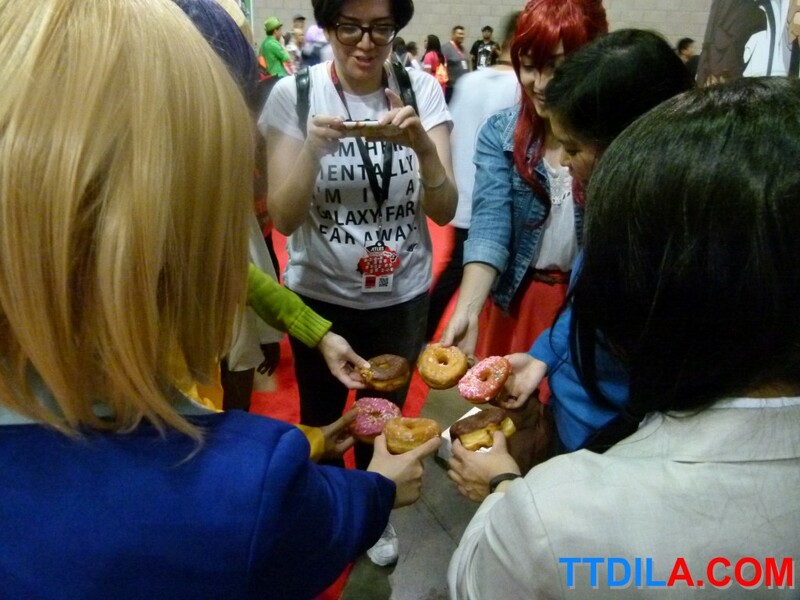 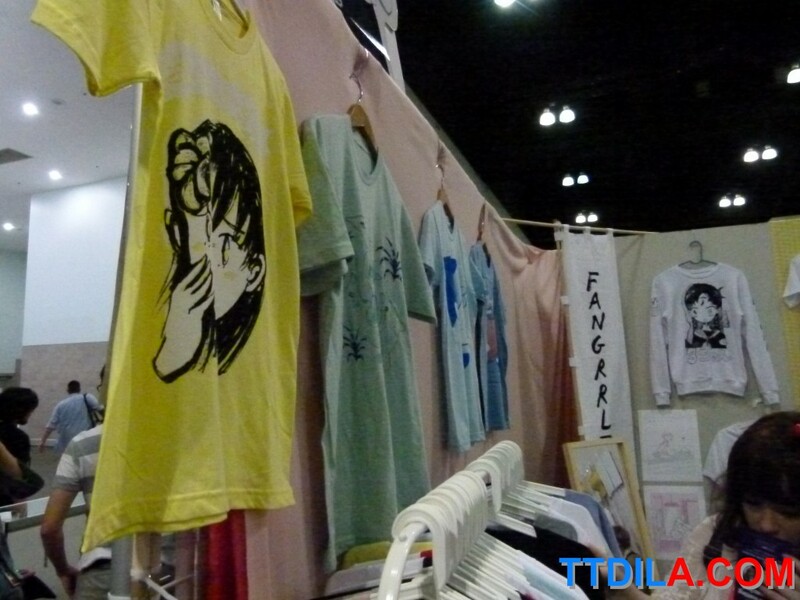 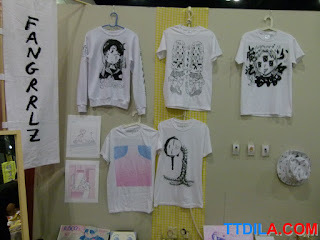 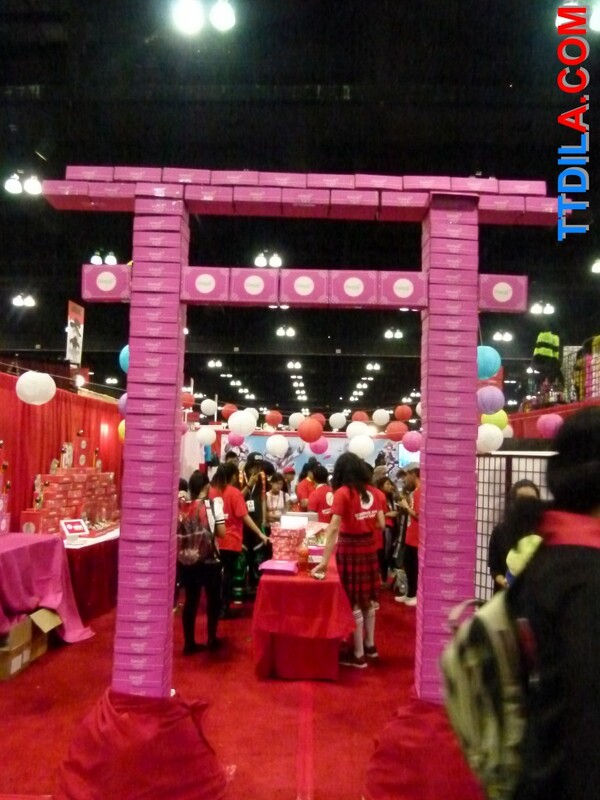 We met up with some old friends like Jean Liang and her Fangrrlz booth, out of artist alley and on the show floor. When will she make her shirts in men sizes, probably never. 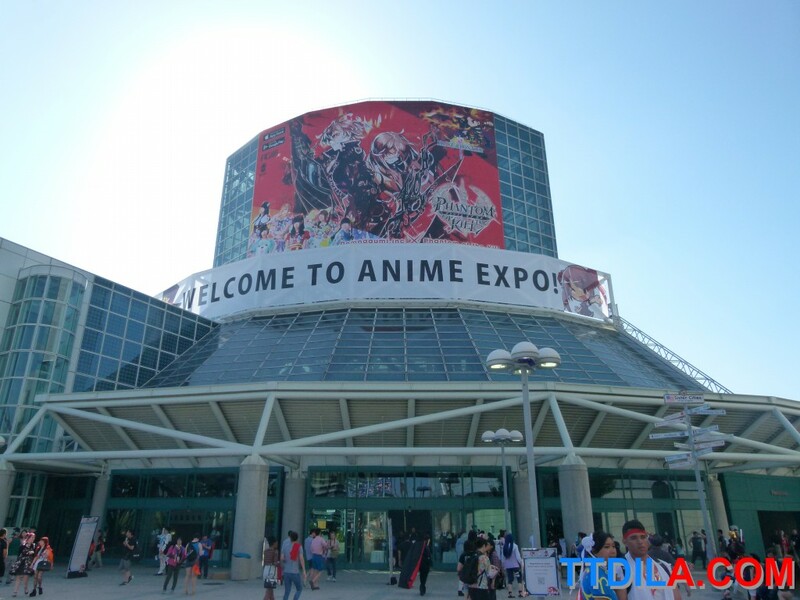 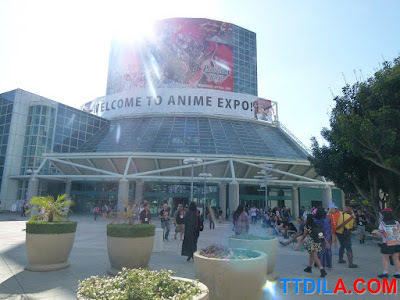 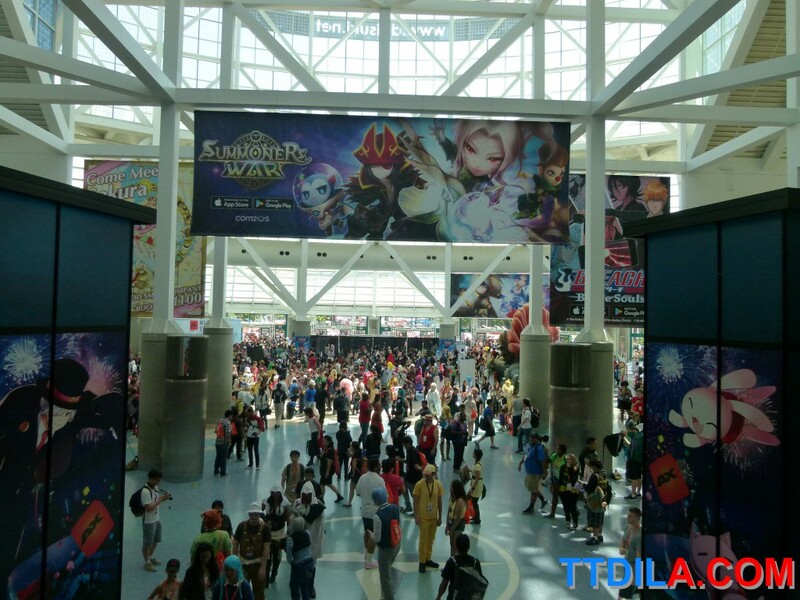 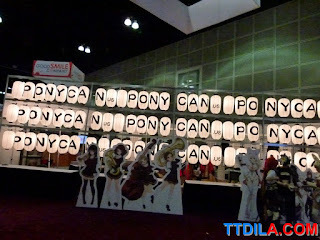 AX remains to be an amazing event that takes place in Los Angeles and for any anime fan is well worth the visit for just the sheer amount of love from fans and the connection of the community coming together to celebrate it. It doesn't hurt to have free swag and some special screenings. We are utterly crazed to learn that AX plans to be five days long next year, we're unsure if that's a good undertaking when so many issues have been left open from this year's event. 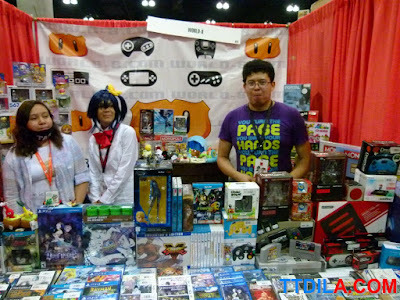 Here's the rest of our photos from AX. 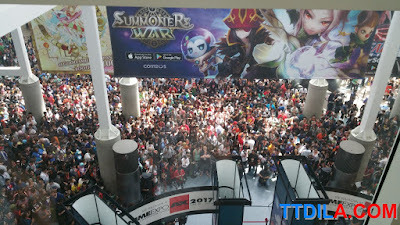 Well, until next year. 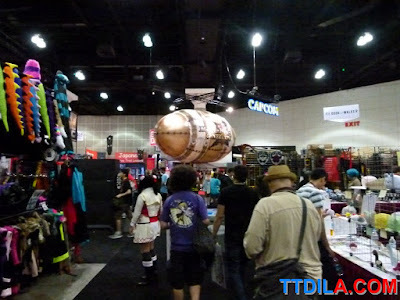 See ya space cowboys and gals!